I’m not one to use too many products on my face. For the most part I scrub, wash and cleanse; that’s about it. I’ve been using Clean & Clear products for the past five years or so and they’ve worked wonders on my skin. Unfortunately the stuff I was using were getting a little dated so I ordered two new products – the Clean & Clear Morning Burst Detoxifying Facial Cleanser and Night Relaxing Deep Cleaning Face Wash.
First up the Morning Burst Detoxifying Facial Cleanser. I simply love this product for multiple reasons. It’s got these micro beads and fragrance that truly wakes you up in the morning and makes you feel super fresh. The bottle says it’s also got an oxygen infused formula and deep cleans for visibly healthier skin. I must say my skin has improved very much since I started using this two weeks back. It totally cleanses my skin and removes impurities. Directions for use – Simply wet face with water. Work on one squeeze of the cleanser into a gentle lather. The micro bursting beads then release skin healthy antioxidants. Next, gently massage the lather all over the face avoiding the eye area. I like to concentrate on my cheekbones and chin area because that’s my problem areas. After less than a minute its time to rinse thoroughly and pat dry. At night my go to product is the Night Relaxing Deep Cleaning Face Wash. True to its name, this formula emulates a fragrance that totally relaxes you and helps you wind down for the night. It washes away daily build up with sea minerals and sea kelp extract leaving my skin clean and relaxed. Directions for use – Simply wet face with water as usual. Although it doesn’t say, I like working one squeeze of the product into a light lather. It’s got airy bubbles that give off a light scent as you do this and then I gently massage it onto my face. Again I focus on my problem areas as well as my t zone to get rid of impurities while avoiding the eye area. This face wash does wonders getting rid of dirt and oil and after washing off thoroughly its time to pat dry. I’m super glad with my purchases because they do exactly as described on the bottles. Occasionally I also use the Morning Burst Facial Scrub but these two are my too favourites now. They retail for somewhere between $4-5 at Walmart which I think is a fantastic buy for products as good as these. I love taking pictures of whatever I eat (not something uncommon these days!) Ha ha! And I’ve seen some bloggers post a snap a week and thought I’d like to do that too. So this is my version of a weekly snap – I’ll be posting something that really caught my eye, favourite food, places I’d like to visit and also most loved products! For my first snap I’m featuring a bowl of pomegranate. I love the juicy flavour that oozes out with a crunchy bite although I don’t like the hassle of breaking the fruit and having to clear out the juicy seeds. 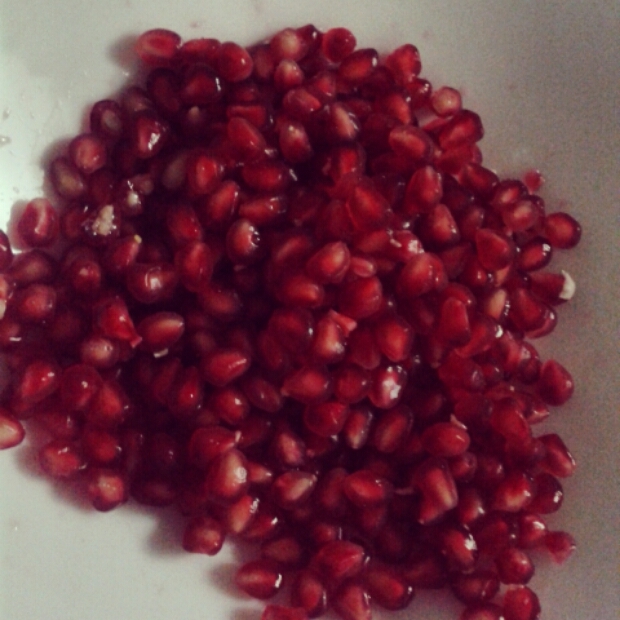 Pomegranate juice is another favourite of mine! Yum yum! Still on the subject of summer and neon. It doesn’t get old really. For me, shopping in Sri Lanka and finding something in neon is like finding a diamond in my cereal – very unlikely! But I do skim through fashion magazines online and look around on what’s trending on Pinterest and it seems like the neons are still a rave. One colour in particular is catching everyone’s eye. The neon yellow. It almost looks like it’s got lime green undertones but comes across as a strong yellow in the sunlight. The above picture shows classic and simple ways of putting together an outfit with a single neon item – a skirt, blouse or belt. It’s easy to accessorise with a neon item because you can either choose to play up the colour or down. Further accessorising it with funky bright colours will play up your complete look whereas mixing it with some nudes will tone it down. Don’t be afraid to use neon accessories like belts, scarves, clutch bags and even chunky necklaces. These will further enhance your complete look. Don’t worry about matching things all round, simply mix and match as you please and create a new look. Bet you didn’t think neon could be paired with a floral but take a look at the above picture for example; it creates a diverse chic look on the whole when you do. I’ve been on a lipstick/lip balm rampage these past few weeks. I’m not too sure I should stick to the usual colours of reds, pinks and nudes so my purchases have been a bit adventurous lately. 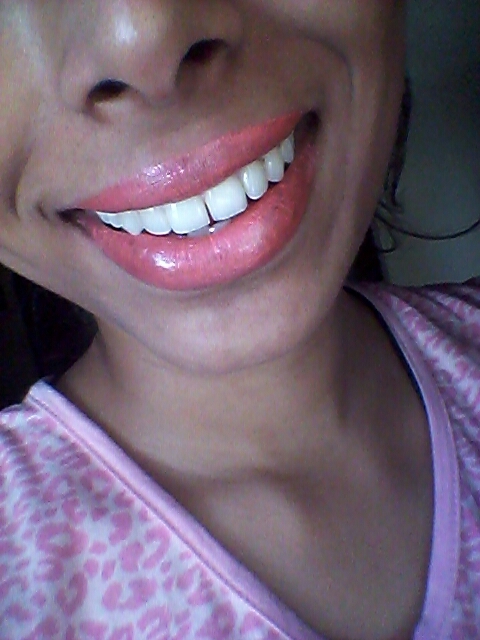 I’m going to show two of the lipsticks I got on my blog today. 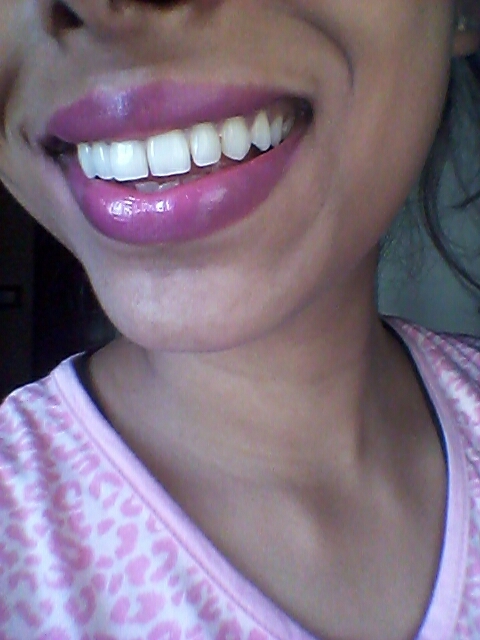 The first is Berry Couture from the Revlon Super Lustrous Lipstick range. On a personal note I kinda feel it has a plumy effect too as many as a berry look. The texture and pigmentation is commendable. The colour glides on with ease but I did apply it over twice to get the shade as seen in the above picture. Overall I’m happy with this selection. Can’t say much about the packaging because it’s simple and typical but I do like the clean finish. Next is Melon Shimmer from the Estee Lauder pure colour range. This is sooooo not something I would usually ever pick up but I decided to be a bit daring with this one and just go with it. It’s quite a pigmented melon peach like colour. Texture was nothing much but it did stay on without smudging for some hours. I did like the packaging at all. It comes in a barbie pink tube with a gold band at the centre; again, so not something I would usually pick up. But. .oh well! Got myself a new pair of silver/metallic like earrings. 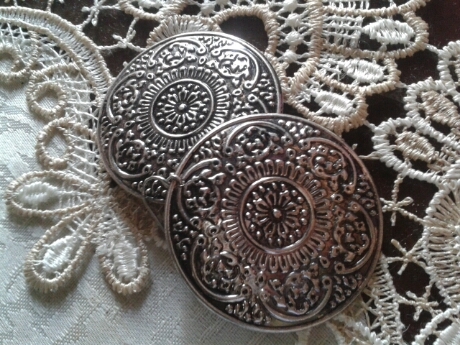 My sister sends me the most amazing gifts and this is just one of them :)I haven’t seen them come back into style or whatever but I have always liked earrings with a 3D dimensional sort of effect and this pair is quite like that. 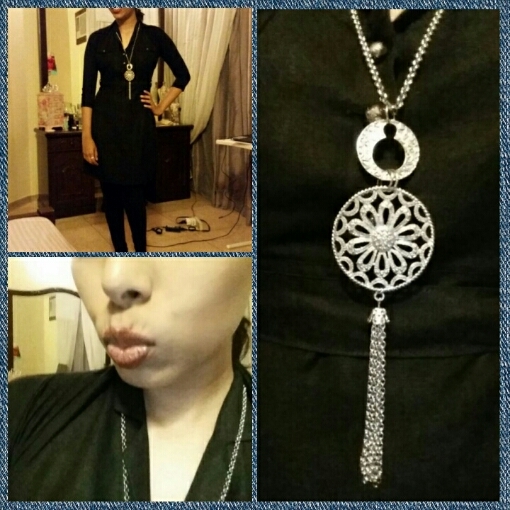 Here’s a look at what I wore last afternoon when I had to run a few errands and meet friends over a cup of coffee. Kept my outfit simple; wore slim fit grey pants from Kelly Felder and paired it with a plain red tee. 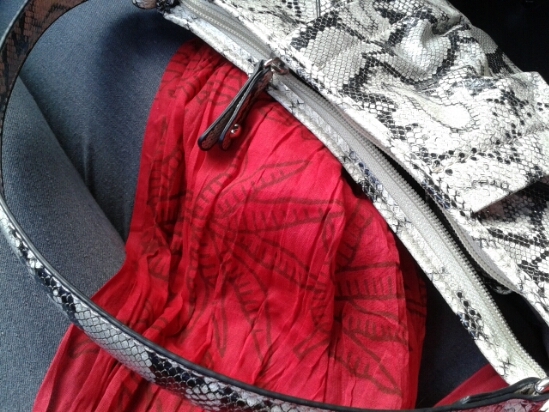 I decided to pump up my look with a gorgeous printed red shawl and new handbag. The shawl is cotton and something I hadn’t accessorised with before. The bag is new as well; my sister sent it to me all the way from Canada. I know the prints don’t match but I liked the overall mixed prints look so I just went with it! Have you been mixing prints lately?